Take warmth and comfort seriously with the Acorn Ewe Collar sliper. 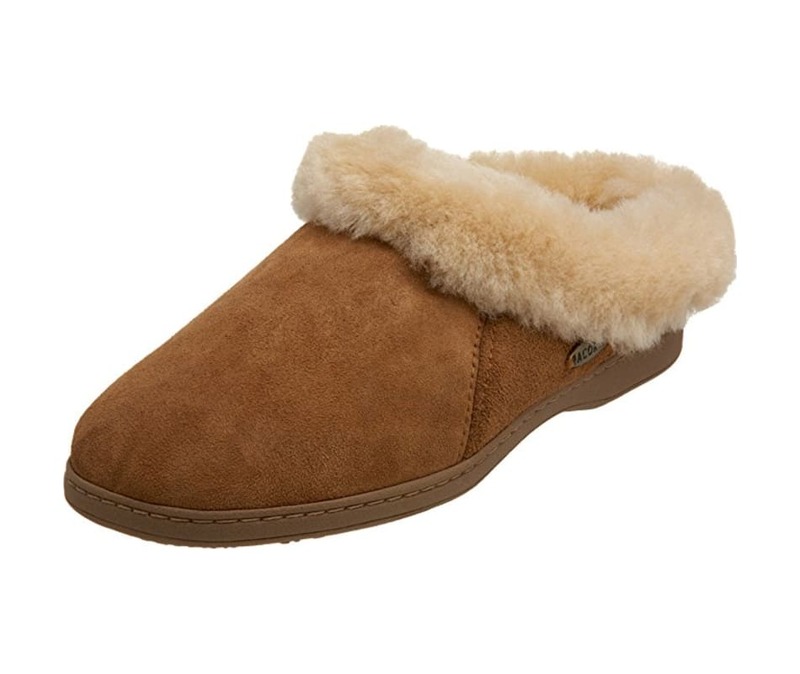 A superb double-faced sheepskin upper wraps your foot in ultimate comfort. A cozy, sheepskin lining wicks moisture, while still being hypoallergenic and biodegradable. A contoured footbed gives long term arch support and, along with a weatherproof non-slip outsole, makes it suitable for quick trips outdoors. Don't feel guilty about wearing your slippers all day anymore; no one will blame you when you have the Acorn Ewe Collar slipper.